​Volossom is a term invented by Oh meaning “Blossom as a manifestation of wish and will, Wish flower.” Volossom symbols represent self-discovery, self-expression and self-determination. Thousand Wish Project is an ongoing interactive visual workshop, which encourage participants to explore, articulate and give shape to a latent wish or desire using creative mediums. Collection of diverse visual wishes all together will create united voice as one. 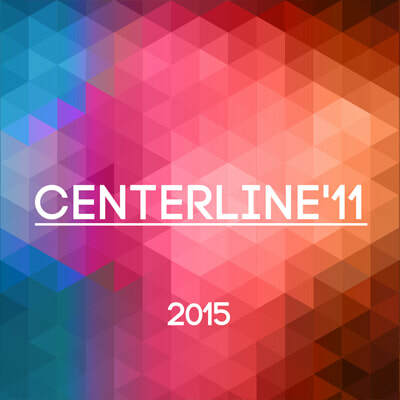 CenterLine'11 is the official annual showcase for the Zhou B artists, the spotlight shines on them and their talent. 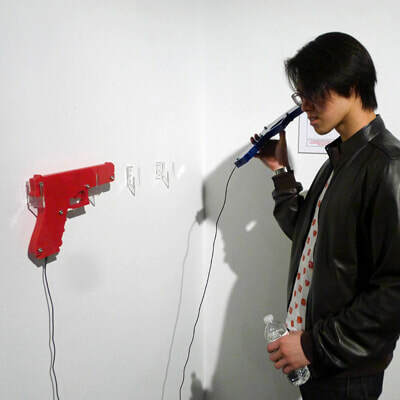 The over 100 artists affiliated with the center represent diverse styles and medium that includes traditional forms such as painting and photography; our New Media space presents the avante garde in video and performance; there will be sculpture, printmaking, encaustic painting and anything you can imagine. If you are interested in a big show of very different work put this in your calendar. -scape is an exhibition curated by Mo Chen and Snow Yunxue Fu, presenting a group of international artists’ works in a variety of media. The show takes on the idea of abstract space both physically and metaphysically. The suffix -scape is derived from the word “landscape”, representing form, formation, shape, scene, picture, and view. The idea of scape engages with each work, in relation to its individual affect and content. ​​The framework of the show explores further the concept “scape” through the cultural structure of globalization, in particular ethno-scape, media-scape, techno-scape, and ideo-scape, coined by social-cultural theorist Arjun Appadurai. The integration of the work grapples with the limitations of media and celebrates our worldly perceptions through multi-faceted artistic formulations. IT'S TOO LATE is an exhibition featuring the work of Ariel Wolfe Baldwin, Banrei, and Anders Lindseth hosted by the Zhou B Art Center and curated by Claire Molek. 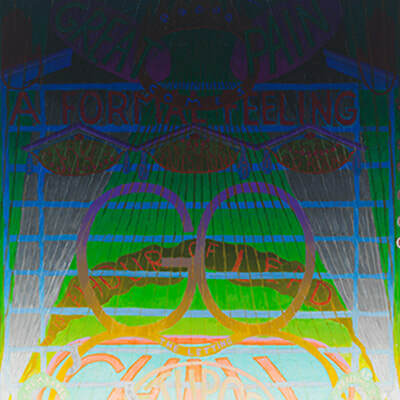 Exhibition opening coincides with the Ed Paschke exhibition on the first floor of the center. The title was inspired by talks with one of the artists, Ariel Baldwin in early 2015 and unfolded with an uncanny amount of serendipity. 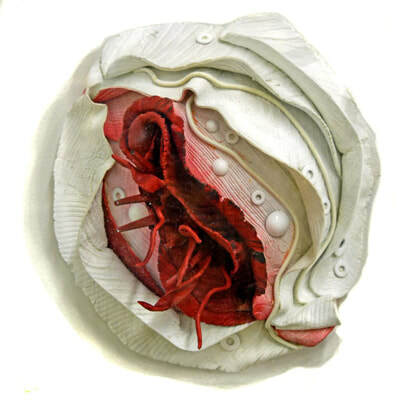 The exhibition celebrates existential discomfort, emblems of a life well lived, and the importance of ritual and meditation, through sculptural paintings, paintings, and a sound installation. Seductive Material examines the artist as an explorer of physical matter and seducer of material in the art-making process. From found objects to fabricated materials, these artists create three-dimensional structures that investigate our sense of either personal identity, space, location, time, presence or ultimately transcendence. 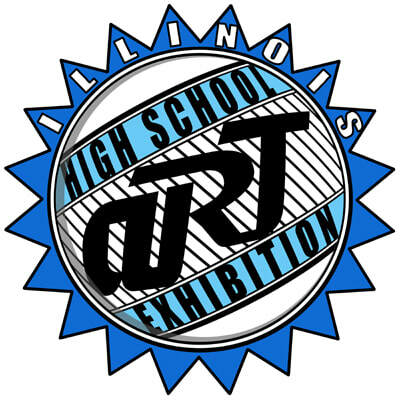 IHSAE is the largest display of promising young artists. The 60 colleges involved gave scholarship offers of over $5 Million to 92 students who won awards the previous year. The exhibition showcases the best high school talents and embodies the mission of the Zhou B Art Center. 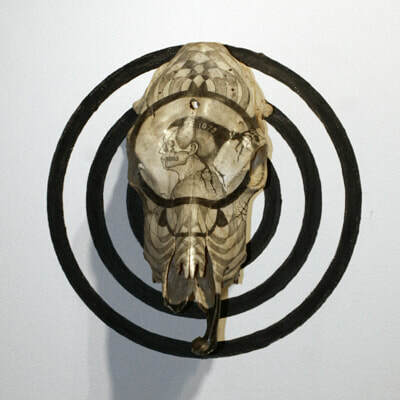 "in(finite): Recent Works by NIU MFA Group Exhibition"
​Fifteen diverse Northern Illinois University MFA candidates from across the United States come together to exhibit their work in a group exhibition. 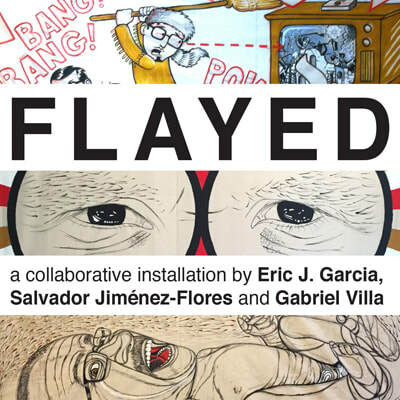 The exhibit is the culminating event of the three year graduate studio art program; it features the work of four painters, a sculptor, three printmakers, 2 fiber artists, a graphic designer, a new media artist, and an animator. I AM American Exhibition is not a single perspective on immigration or ethnicity. 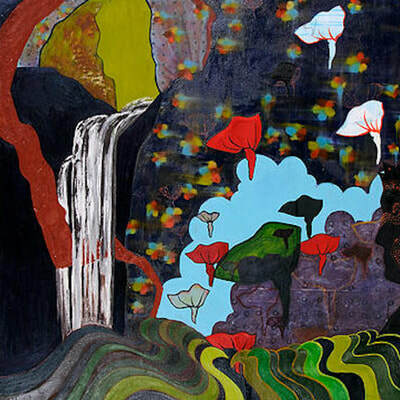 Instead, using a variety of styles, visual forms, symbols and metaphors, each work provides a wide angle view into the multi-cultural experience. Some of the artists are first, second or third generation immigrants. Others, can trace their heritage back to the Native American Indians. In that sense, this non-literal exhibition on the American experience provides the viewer with ample room for conversation and personal interpretation. Some works directly approach the theme of identity while others delve on other subjects related to the American experience. Ultimately, this exhibit explores the meaning of being “American”.